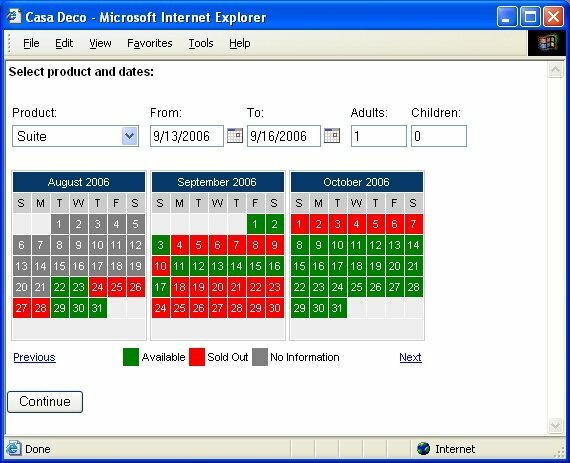 The first WebReserv.com update for 2008 has arrived and with it a powerful new availability calendar. 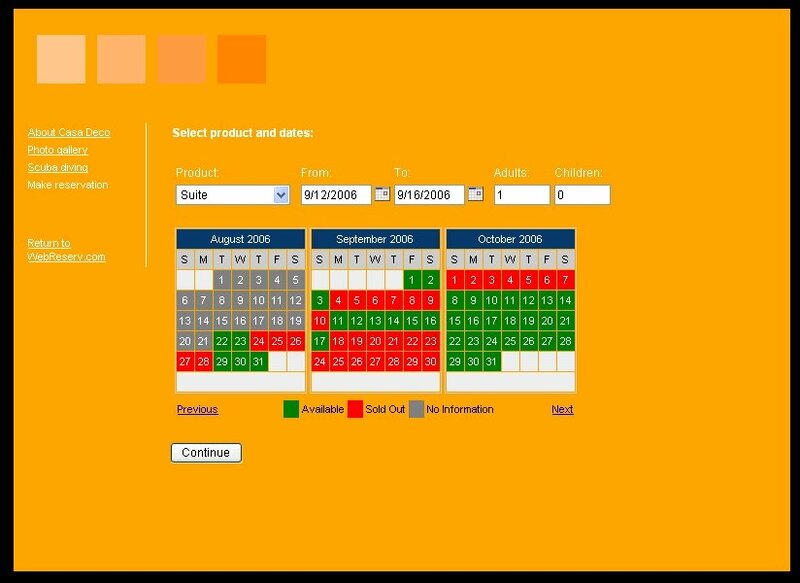 The new availability calendar provides extends the old availability calendar with a fresh new colorful calendar that shows you availability, reservations and inventory status in a flash. From the availability calendar, you can click on each reservation or OOI (Out-Of-Inventory) item to get more information. To mark a unit as unavailable simply click on the link below the calendar. For more information about managing reservations and availabilities, click here. This entry was posted in Booking Calendar, New Features and tagged Availability calendar, booking system availabilities overview, booking system check availabilities, master calendar, webreserv master calendar. Depending on your customer settings and reservation rules, you may experience that the date icon doesn’t align with the rest of the fields on the reservation widget as shown in the screen shot below. The icons are pushed down below the date fields because the width of the reservation widget is too small. Fortunately, it’s very easy to correct and get the date icons aligned. To correct it, open the HTML file for your website and look for the width of the reservation widget (IFRAME). Change the width to be about 100-150 greater than the existing width. In most cases a new width of about 600 will be sufficient to get the icons aligned. After changing the HTML files, save it and test it to make sure that the date icons are shown correctly as shown below. This entry was posted in Booking Calendar. The reservation widget / availability calendar is a cool utility from WebReserv.com. It can be added to one or more existing websites and provides all the reservation functionality needed to make a website interesting for the consumer. The reservation widget provides the following features: availability calendar, customer information, credit card information. The reservation widget can be embedded within your site or it can be opened as a pop-up window. In most cases, you’ll want to embed it in your site as it looks awesome with the availability calendar right there on your website. It is easy to customize the reservation widget to have the same look as your own website (colors, fonts etc). Whether you embed the widget or open it as a popup-window will give you the same functionality. The pop-up version widget can be added to any website with just one line of HTML code. With the pop-up approach, you’ll get a booking button on your website, and a booking window will open when a customer clicks the booking button. Adding the booking component as an embedded component requires a few more lines of HTML code and possibly a little bit of tuning to get the colors right. To get the HTML code specifically for your business, log on to WebReserv.com and select Web Components from the main menu. To know how to embed the new calendar 2.0, click here. This entry was posted in Booking Calendar and tagged Calendar 1.0, embed calendar 1.0, embedded calendar Wix, how to, how to embed webreserv calendar, webreserv calendar 1.0.